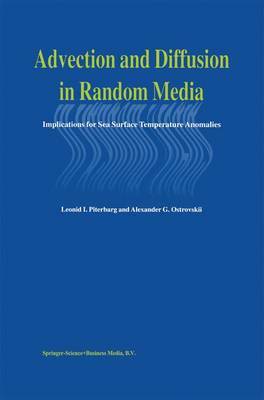 This book originated from our interest in sea surface temperature variability. Our initial, though entirely pragmatic, goal was to derive adequate mathemat- ical tools for handling certain oceanographic problems. Eventually, however, these considerations went far beyond oceanographic applications partly because one of the authors is a mathematician. We found that many theoretical issues of turbulent transport problems had been repeatedly discussed in fields of hy- drodynamics, plasma and solid matter physics, and mathematics itself. There are few monographs concerned with turbulent diffusion in the ocean (Csanady 1973, Okubo 1980, Monin and Ozmidov 1988). While selecting material for this book we focused, first, on theoretical issues that could be helpful for understanding mixture processes in the ocean, and, sec- ond, on our own contribution to the problem. Mathematically all of the issues addressed in this book are concentrated around a single linear equation: the stochastic advection-diffusion equation. There is no attempt to derive universal statistics for turbulent flow. Instead, the focus is on a statistical description of a passive scalar (tracer) under given velocity statistics. As for applications, this book addresses only one phenomenon: transport of sea surface temperature anomalies. Hopefully, however, our two main approaches are applicable to other subjects.